Pakho Chau, Louis Cheung Kai Chung, Ava Liu (Yu Kiu), Andrew Lam Man Chung, Bob Lam Sing Bun, Shiga Lin, Joyce Cheng Yun Yi two nights ago attended their film THE SINKING CITY: CAPSULE ODYSSEY (SAI FONG GIK LOK: TAI BAU TAI JI TAI HUNG CHONG)'s premiere. The event first arranged for each actor to promote on the busy streets of Causeway Bay. After slapping Bob on his TVB program and rumored to be at odds, Lam Man Chung again assaulted Bob. Bob brushed him off and said, "It is Causeway Bay, do you dare?" Ah Chung without any regard slapped Bob's head. Ah Chung then took aim at Yu Kiu and called her "Yu Chau" (Rain Nest), referring to her glittering chest and bringing "rain clouds" with her. Yu Kiu was asked if Ah Chung often verbally harassed her. She said, "Luckily I didn't have any scene with Ah Chung, but on the set I frequently saw him. He just said that I brought a cloud with me, I don't know what the cloud has to do with me? He also said my chest was shiny. (Did you ask Ah Chung to write a song for you?) I don't dare, he is a god class lyrics writer. If he is willing of course it would be great, even though he is constantly sexually harassing me. (If he is willing to write a song for you, would you be willing to let me harass you?) No, I would strike back but my wit isn't as quick as would usually lose." Did her boyfriend Adason Lo (Law Lik Wai) already watch the film? Yu Kiu said, "Not yet, I want to watch it with him. (Do you want him to see the kiss scene?) I told him off hand, and since I have an understanding with the company not to focus the promotion on bed and kiss scenes." 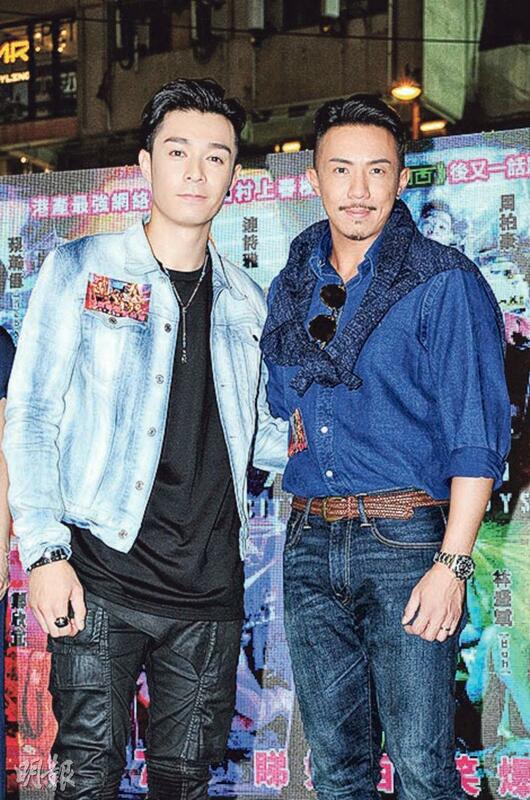 Pakho Chau and Cheung Kai Chung were busy with work so they have not stepped foot in Causeway Bay in a very long time. Pakho said that when he arrived he noticed whether the buildings have changed, since after getting into the business he often shopped online. Cheung Kai Chung felt like a former compatriot who left Hong Kong for decades. A lot have changed here. He followed Pakho just now, otherwise he would have gotten lost. Cheung Kai Chung recently finished his series and had more time to spend with his daughter Cheung Ching. Earlier he held her for a selfie when she suddenly spat up to steal the spotlight. 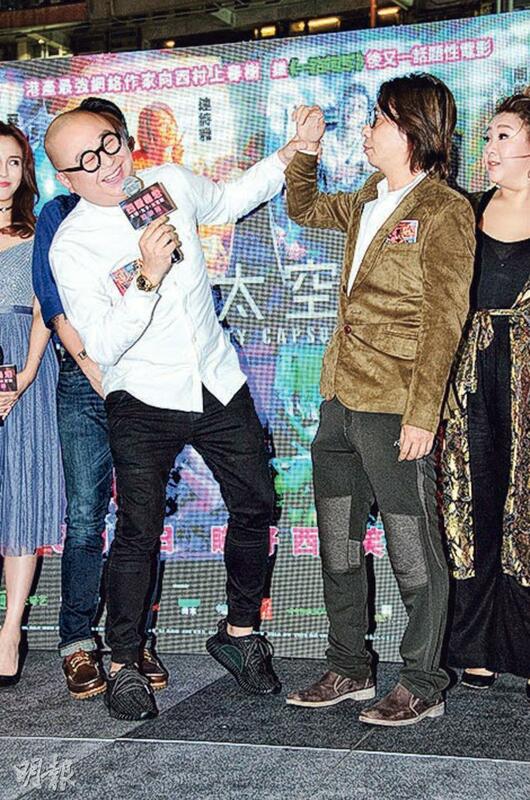 Ah Chung said, "I don't dare to say that, sometimes I would feel my daughter is cute. I am pretty happy. Earlier I was busy with the series and had very little time to see my daughter, I also thank my wife and family for taking care of her. However next month I would have to leave Hong Kong for work again." Pakho had no parenthood plan yet and would leave it to nature. Did he ask Ah Chung for advice? He said, "I should ask Bob, haha."